Lately, news broke out that Google+ will soon be “dead”, in part because Vic Gundotra, Senior Vice President of Social and credited as the main man behind Google+, left the company. However, Google’s PR denied that the social network will soon be phased out; rather, the company is reshuffling the staff members under Google+. 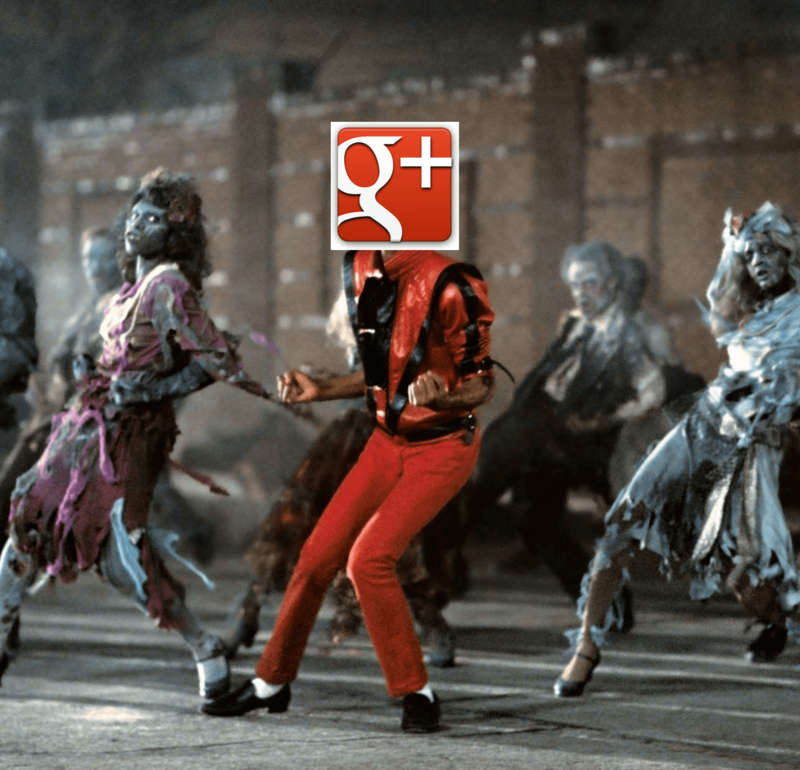 Is Google+ really dead or still dancing? Google+ is currently undergoing a lot of changes, with +PostAds, new Awesome Stories feature and more, so saying goodbye to something special that they are still heavily investing on is not really a wise thing because actually, the social network has been doing well. Not to mention that its core services are quite useful. From letting you upload GIFs and use them as profile photos to editing the pictures you upload on your page, and from connecting with other members that have similar interests to interacting with top personalities, it’s clear that Google+ is here to stay. With over 300 million monthly users, Google+ has quickly dominated the social game, being only behind Facebook. When you really think about that number, and then look at the brands and the big names that are also using Google+ to their advantage, you’ll realize that there are still plenty of arguments for you to join the network. Once you’ve decided to create a Google+ account for your small business, I would also suggest that you take advantage of Google’s other services that will help increase your visibility online. For example, don’t be too hasty to overlook Google Places or Google+ for Business, which will literally put your brick-and-mortar store on the map. It might sound like a small step, but creating a Google+ page will greatly help you in establishing an online presence and in reinforcing your brand. Though you’re not actually able to sell your products and services via the platform, Google+ could drive traffic to your company’s official website and other pages, as well as drive traffic directly to your physical store. I’ve already set up a Google+ page… Now what? One of the most important things to do to optimize your Google+ page is to make sure that all company details relevant to you and your target customers are there. If you are a local business, be sure that you selected the Local Business category when you created the page. You shouldn’t forget to add your company’s NAP (name, address, and phone number) on your page’s details area as well as on your website. I recommend using a high-resolution display picture for your company profile image and cover photo. You could also add other helpful information like store hours, a brief description, and links to other pages. When you’re satisfied by what other people will see on your page, provided that you’ve already started adding people and putting them into circles, let me bring your attention to one setting that’s often disregarded by Google+ users. Google+ has circles for a reason. Did you know that you can also control who sees your posts on Google+? You can set your posts to be seen by one person, or only members of your circles and your extended circles. You can also set posts to be seen publicly, which means everyone will see them, even those who are not yet your friends. Again, this may not sound like a big deal, but believe it or not, your posts could help attract more people to your company page. If you set your posts to public, this means that people can search for your posts using the Google search engine. If people like what you post, they will be more inclined to add you to their own circles. Since you will only be posting things that are related to your business, I suggest that you always set your posts to public, unless you feel that some of your posts are better suited to certain circles. If you have a special circle of VIP clients, then you can create one and you can tailor posts specifically for them. You can also set your content to be seen by the communities you belong to. The same process applies. From the “To:“ drop-down menu, click the name of the community you want to post your content to. You can also type in the name of the community to make the search process quicker. Then share. The members of the community will be able to see and comment on your content. Being able to post different content to different circles and communities is a plus because this will help you create and use content that specifically targets or appeals to the people that belong in those circles and communities. You will then have a higher chance of getting shares (if that is what you are after) or leads and conversions from these specific posts. Now let’s move on to posting on Google+. Google+ allows you to share a variety of things. You can share status updates, pictures and GIFs, videos, and links. You can also create events if you wish. Just remember that what you post will be seen by your potential customers and investors, so make sure that your posts are professional, creative, and of high quality. Your posts are the very meat of your company page. These are what will ultimately engage people and encourage them to stay on your company page, so make your posts count. 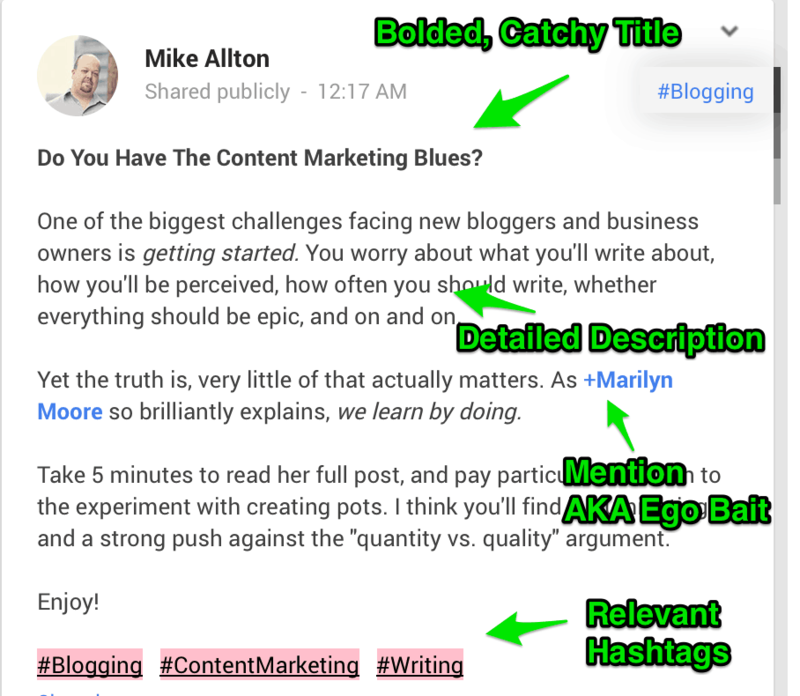 Now comes the hard part: how do you optimize your Google+ posts? Remember that this is not a personal account, so you can’t just post anything that pops into your head. As much as possible, you should only post things that are related to your business, or possibly those that will eventually lead people to check out your products and services, as overselling will turn off your potential customers. The key is to post something that will catch the attention of the members of your circles without shedding your professionalism as a business owner. You can be fun and friendly while still maintaining your credibility, and you can do this via fully optimized posts. Thankfully, Google+ has provided you with everything that you could ever need to ensure that your posts will encourage the participation of your friends. The more your posts engage the people inside your circles, the higher their conversion rate. Thus, you are aiming for your friends’ likes (+ 1), comments, and shares. These are what your readers should be clicking. You have to make sure that your status updates stand out from the rest. That’s why it’s so important that you unleash your creativity here. You need to come up with updates that will immediately get the attention of your readers. How do you do this? Based on experience, I find that posts that sound friendly and inviting grab my attention the quickest. I’m also drawn to content that would inspire me or motivate me to do some form of action. When you think about it, viral videos, photos, and messages are usually those that tell stories and play on the interest and emotion of the reader. Knowing those, the least you can do is to have a striking image as often as possible for each of your posts. Aside from the actual content of your posts, what’s great about Google+ is that you can stylize your text. By putting an asterisk (*) at the very front and end of your update, you will make the text in between bold. Putting underscores and dashes will then italicize and strikethrough the words, respectively. These can put emphasis in your posts. Usually, photos and videos get more attention than text updates. Perhaps it’s because people often cannot be bothered to read long posts, and that’s another reason to keep your status updates short and sweet. But anyway, you have to understand that even your photos and videos should be optimized. You can’t just upload anything you like, no matter how tempting it might be for you to share something you find interesting. You can do that on your personal Google+ account, but here on your company page, it’s better that you upload photos and videos that are relevant to your brand. Take the example of Cadbury. You can see its Google+ page here. Most of its posts are pictures, but they aren’t just regular photos. Most of the photos feature Cadbury products and the various ways in which you can prepare and eat them. Though the page features its newest products, you can’t really say that the company is over-advertising. In fact, the pictures and videos are a joy to look at, and you can clearly see why the page has gotten over 3.3 million followers. All of its pictures and videos are of high resolution and quality, and because of that, many people would be willing to spend a lot of time just scrolling down the page. Update: Google+ can also show Full-Bleed images now. 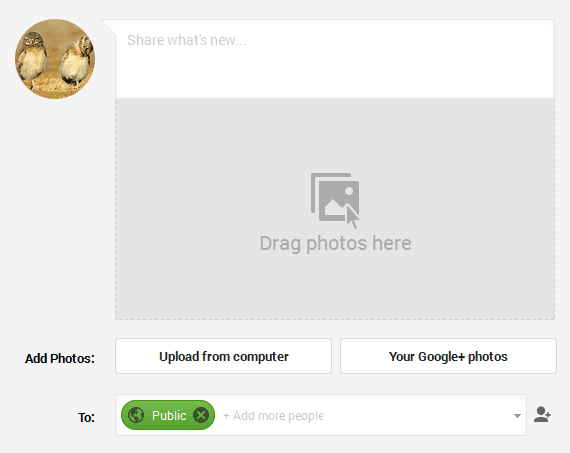 This is when you share a link on Google+ and normally, a small image will show. With full bleed images, they show a more prominent sized image. So the images on your website are very important. An image with a 5:2 ratio, minimum of 506 pixels width along with complete schema will show full bleed images more often. If you are new to internet marketing, don’t be overwhelmed. These can be applied very easily. Regardless if you’ve posted a text update, a photo, or a video, all of these should be engaging enough to your readers. Your text updates can contain questions that will invite your readers to provide answers and opinions to. To keep the discussions rolling, you should be ready to facilitate, making use of + (or @) and hashtag (#) to mention people and relate all of the posts into one discussion. Many businesses prefer not to mention other companies or brands. On Google+, it can get you thousands of shares because it’s usually an ego-bait or conversation starter. If you noticed our example on our Twitter Marketing post, brands speaking to brands are always awesome to see from a customer’s standpoint. Mentioning others will also get you in their radars and it will get you more social shares in the future and eventually, more sales. 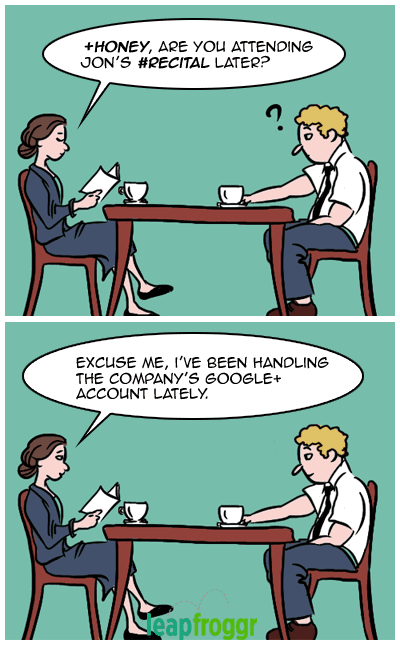 We should all reach this point if we’re doing our Google+ posts right. Photos and videos can be accompanied by text that will instigate discussion among your followers. Perhaps you can ask your followers what they think about your uploaded photos and videos. Don’t be afraid to use your imagination on how you can encourage them to stay on your page. You can look at Pepsi’s Google+ page for inspiration. Most of its posts are pictures and videos that are accompanied by text that encourage the reader to take some form of action. It’s also great that the posts match certain events, such as baseball games, upcoming concerts, etc. For example, last year, Pepsi encouraged its followers to submit videos of them showing their best Beyonce dance moves. The person with the best video would win a VIP trip to Beyonce’s world tour at New York City. Pepsi lets Queen B show them how it’s done. It was mentioned before that aside from adding the relevant details of your business that your customers should know, you shouldn’t also forget about uploading a profile picture. Of course, this picture will help people get to know you and your brand better. However, if you want to further optimize your page and make it look eye-catching, you shouldn’t forget to upload a good-looking cover photo. The recommended size for the cover photo is 1080 x 608, with maximum dimensions of 2120 x 1192 and a minimum of 480 x 270. Of course, once you upload your photo, you can still crop it to better fit it on your page. You can also put contact details, services and other things on your cover photo. Much like with everything else in digital marketing, you need to keep testing to find out what works. You can also apply “SEO”-like practices to your cover photo, first by adding your optimized keywords as the photo’s filename. Second is by adding captions for the photo, and finally by simply sharing it. 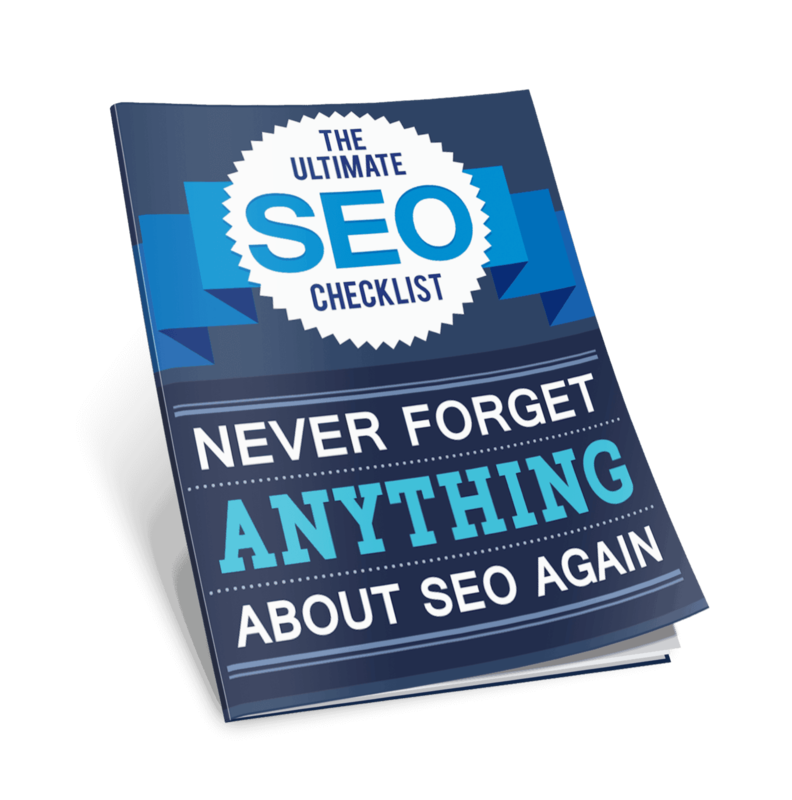 Learn more about SEO here. It’s always a good idea to observe what other companies are doing, specifically what they do to keep people locked in on their websites. Find out what they post on their social networking pages that they are able to generate hundreds and thousands of likes, comments, and shares. It’s not recommended that you copy all of other companies’ techniques, but you can use them as inspiration for what you can do for your own page. Here’s an indirect example from Copyblogger. Its website already has a section where experts can write about anything related to online marketing. The section is like a blog, with the exception that readers are unable to post comments directly to that page. Instead, if you have something you’d like to share, you will need to go to Copyblogger’s Google+ or Twitter page to join discussions. Don’t be ashamed to invite people into engagement — it’s not like you’re proposing marriage here. Putting call-to-action messages doesn’t only drive traffic to Copyblogger’s Google+ page. It also increases the chance for people to add Copyblogger to their circle, or follow them on Twitter. The result is that Copyblogger’s Google+ growth rate increased by 157%. This example does not directly affect your Google+ posts but it does increase your follower base, which will help you in testing your Google+ posts further. You won’t really know if your optimized posts work if nobody sees it, right? Since you just learned about different things above, it’s time to put them together and test it out. Once you do it a couple times, it will be very easy for you to test another style. 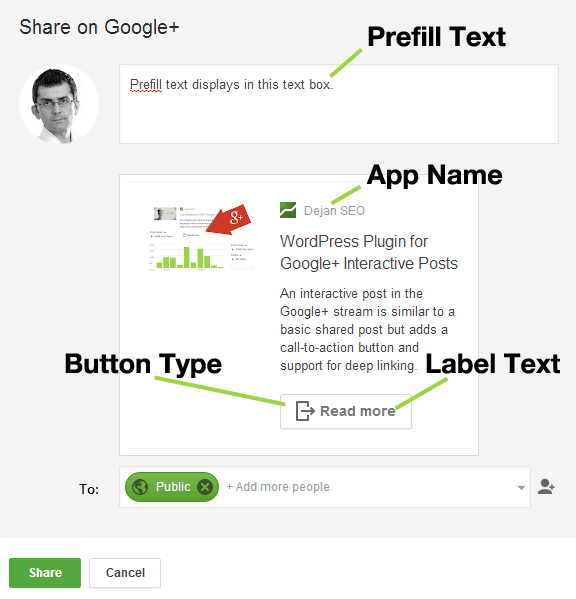 The great people at DejanSEO created a WordPress plugin specifically to improve Google+ posts. There’s not much to say. It’s awesome. Use it. This will help you to further improve your handling of your Google+ page, specifically the content you post. One great tool that you can use is Google+ Ripples, which will provide you with a simple graph showing how content is being shared publicly across the network. If you want to know how many times your content is being shared, or who is sharing your content with other people, all you need to do is go to the upper right corner of your post to access a drop-down menu. Click on “View Ripples”, and you will then be shown a detailed graph of how many people have shared your content. Knowing if your content is being shared is important because you will get an idea of what kinds of content people find appealing and interesting enough to be recommended to their circles and communities. OK, so Google+ Ripples don’t actually look like this. 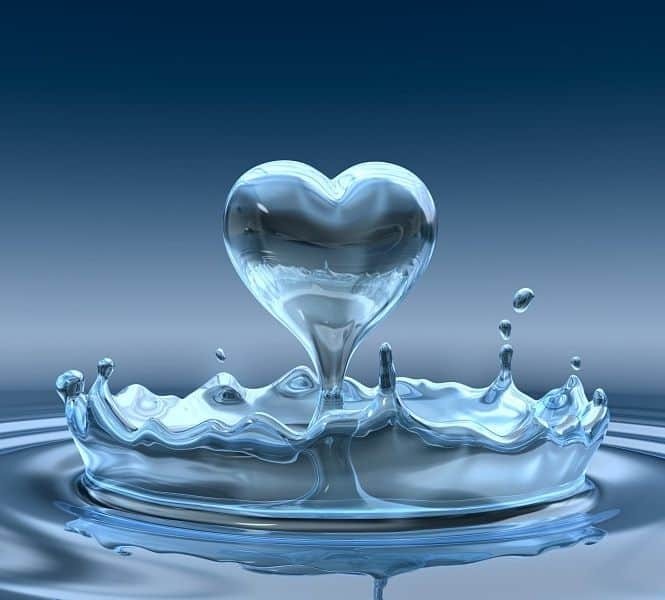 Still, ripples=love online. So, really, setting up a Google+ account is not just about adding thousands of friends and promoting your products and services. 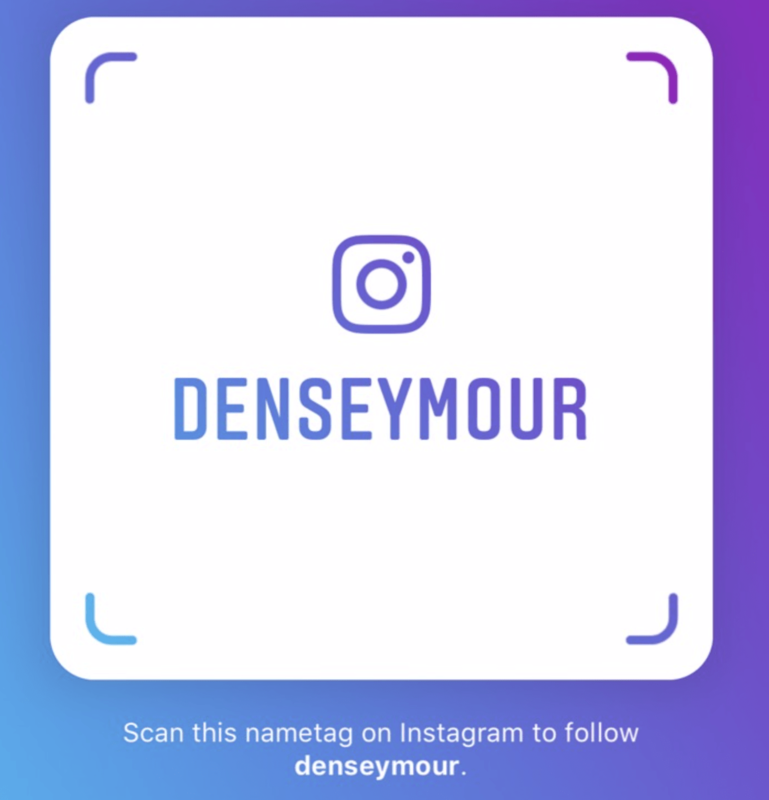 If you want to enjoy a large number of followers, higher visibility online, and basically an increase in your sales, then your priority ought to be on posting high-quality and relevant content, whether they may be text, photos, videos, or something else. Focus on engaging your followers and better enhancing your posts. These optimized posts will do the advertising for you and lead more people to your store. Oh, and if you still need extra motivation to use Google+, we made a very awesome tutorial to create your own Google+ app on your Mac. This way, Chrome won’t be eating your battery too much when you always have your Google+ running. Google+ is a real resource for traffic which is very useful to bloggers and internet marketers alike.